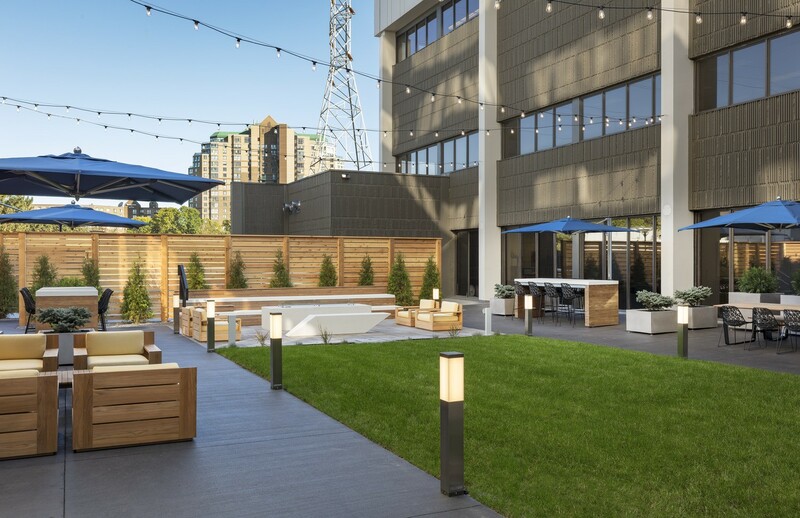 Wells Fargo Plaza repositioned itself as a creative and collaborative alternative to many of its suburban counterparts. 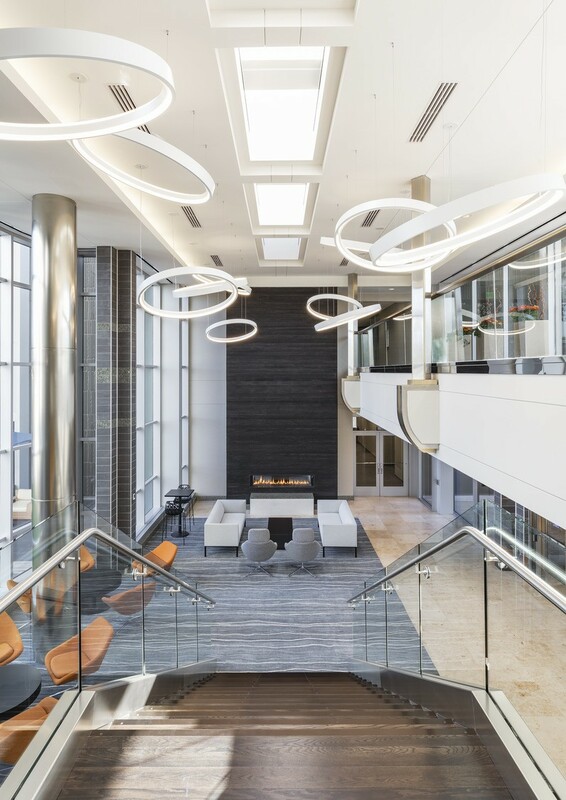 To realize this transformation, HGA was brought on board to evaluate the property’s strengths and weakness as well as conceptualize design opportunities to its lobby and other common area spaces. 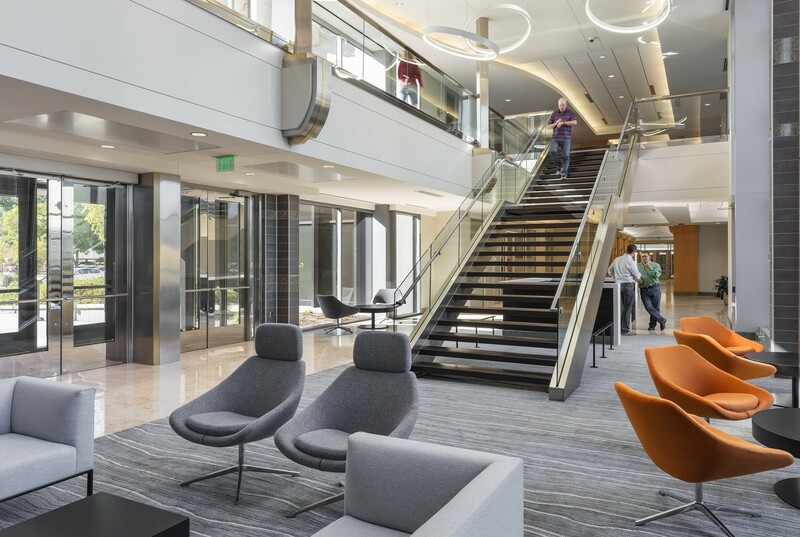 Broken into multiple phases, a new management office and training room reflects the building’s new brand with raw interior finishes, exceptional audio/visual technology and elegant furniture selections. 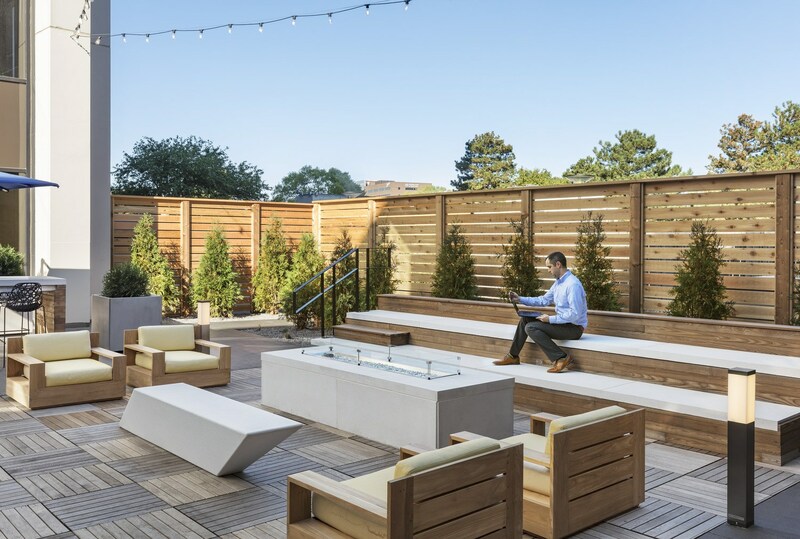 The building’s two-story lobby has also been redesigned to foster a collaborative work lounge that opens up to a newly created exterior amenity courtyard featuring a fire pit, game lawn, catering counter and a variety of seating types.